At the Law Office of Melissa A. Cook, PLLC, we advocate strongly for our clients by taking a reasonable approach in resolving a variety of family law-related matters, such as divorce, child custody, child support, protective orders, and situations in which Child Protective Services is involved with your family. The focus is always advocating our client’s position, while trying to reach agreements whenever possible. This is accomplished by maintaining a reasonable position, thoroughly investigating and researching relevant facts and legal standards, and utilizing the mediation process and/or the Collaborative Law process to reach final agreements. Unfortunately sometimes agreements simply cannot be reached. In these circumstances, the Law Office of Melissa A. Cook, PLLC, offers knowledgeable and skilled courtroom advocacy to resolve your disputed issues. The Law Office of Melissa A. Cook, PLLC also offers Limited Scope Representation (LSR) to its clients. While it is always advisable to have legal representation during the pendency of your family law matter, sometimes it is simply cost-prohibited. Additionally, certain matters and case objectives do not require an attorney from start to finish. We are committed to working with clients to help provide them with legal representation that they need and can feasibly afford. In 2012, after several years in the public interest sector, Melissa A. Cook ventured into private family law practice and recently formed the Law Office of Melissa A. Cook, PLLC. As a former mental health provider, Melissa developed clinical skills in complex family dynamics, mental illness, substance abuse, along with abuse and neglect issues. 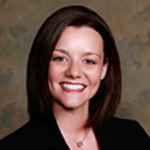 Melissa’s expertise in these areas prove invaluable to the clients she represents in family law matters. Regarded as efficient, competent, and well-organized by colleagues and peers, Melissa’s clients are put at ease with her by their side as they embark on their family law matter.